First impressions count. 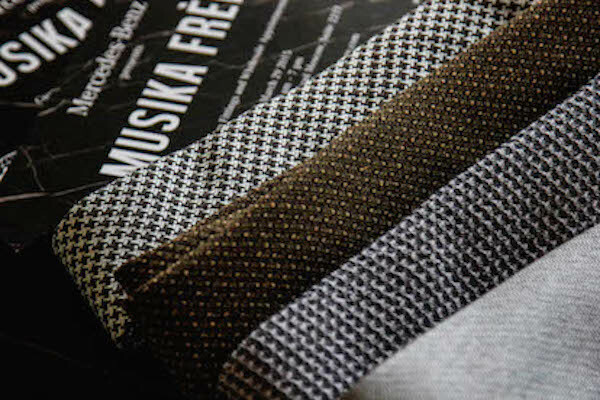 We’ve all heard the saying and agree with it on some level, but luxury menswear brand Musika Frère has taken it literally. According to Aleks Musika, one half of the US-based design duo, your style and appearance are indicative of who you are. 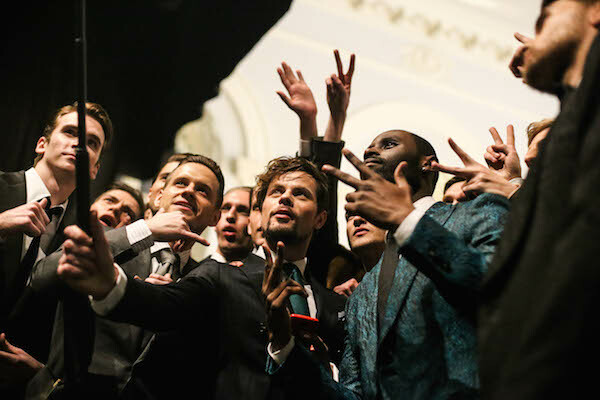 And in today’s highly visual culture, saturated with street style photography, endless selfies and obsessive Instagram feeds, style is more important than ever for the man who wants to stand out and impress. Musika Frère attended the recent Mercedes-Benz Fashion Week Russia to showcase their AW’15 collection. 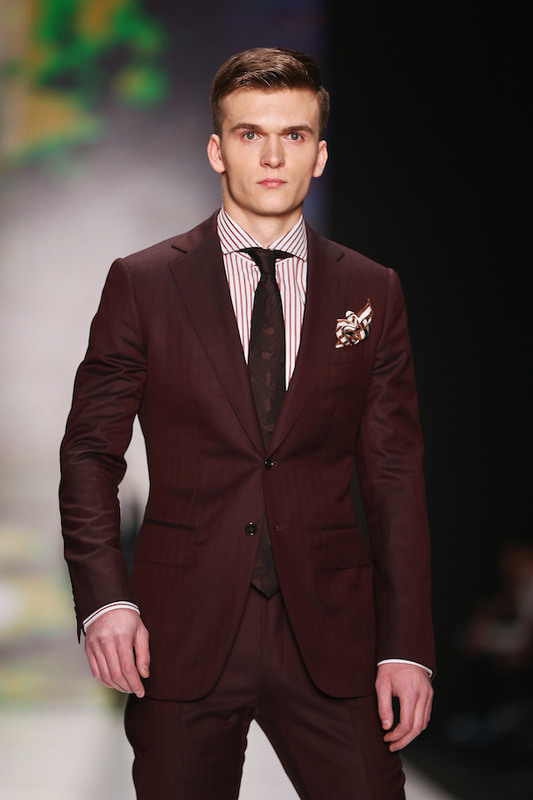 They sent sharply tailored three-piece suits, fur-trimmed overcoats and bold colours and patterns down the catwalk. These are men who pay attention to the details. We had the chance to catch up with Aleks Musika for his take on inspiration, colour and gender-bending on the catwalk. Who is your style inspiration as a brand? I was inspired most by Tom Ford, who I used to work with. He understands angles and symmetry better than any designer in the world. He gave the world a different take on luxury brands. 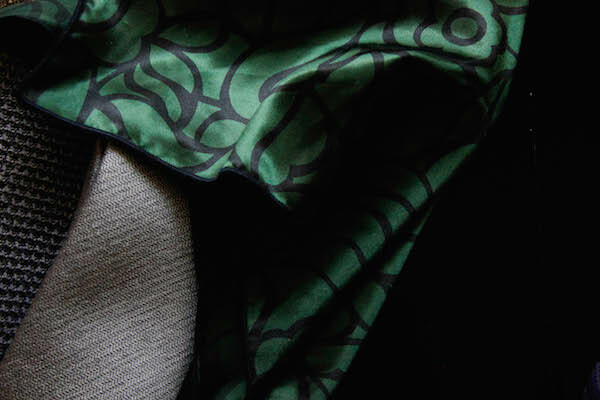 What inspired the AW’15 collection in particular? When we started out as a purely custom house, we worked with established business men, famous artists, athletes, actors, etc., to make clothes they wanted. Going into AW’15, these same clients inspired us to create a line that caters to their lavish lifestyles. Clothes that live up to the standards that made them professionals in their own lives. Traditionally, men’s suiting tends to be black, blue and grey, but Musika Frère doesn’t seem to shy away from colour. How do you approach colour in your collections? 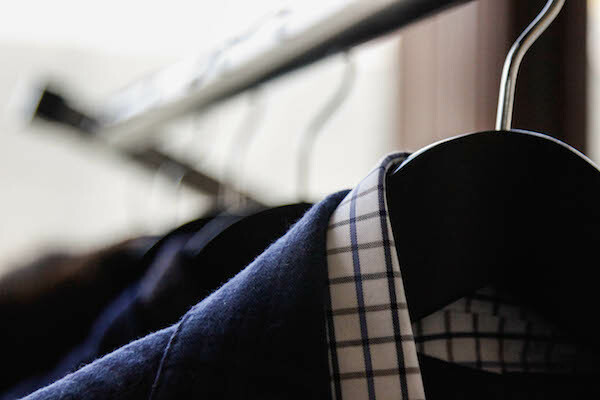 Our suiting is broken up into three categories – business, fashion forward and formal. In the business section, we all know black, grey and blue are accepted. But what we wanted to do was make colour palettes that weren’t predictable, and were, at the same time, Wall-Street friendly. This season we stuck with dark rich shades like oxblood, mineral green and cognac. We combined these colours with a rich, oil black to tone them down and add an elegant touch. For the fashion forward pieces and formal wear, we always have fun and aren’t afraid of colours or patterns. We feel that what really sets our suits apart from all the other brands is the cut. We specialise in aggressive fits no matter what the body type. Conor McGregor [the Irish UFC fighter]. He seems to love wearing suits and understands the importance of self-marketing by dressing well. It’s amazing how much press you can get by dressing the part, but at the same time be as brash as you want. He’s full of confidence, which I love, and he follows his bold statements with actions. He’s also hilarious, which would make for a fun fitting. You say you want to bring luxury to streetwear – can you give me some examples from your collection that embody that idea? We feel our sportswear / outerwear embodies streetwear by using motorcycle styles and edgy silhouettes. But we fuse that with touches of elegance and master tailoring – adding functional hand sewn buttons instead of zippers or perfectly sewn roped suit shoulders instead of the basic machine-sewn shoulders. Luxury doesn’t always have to be suits and ties. Sometimes all you want is to throw some sneakers on with jeans or shrug on a cool motorcycle jacket with some substance. What is the Musika Frère man conveying when he wears one of your suits? That he is in control of his destiny. He is a man who cares about his appearance. He is the first one in the office or playing field in the morning and the last one to leave at night. He is a perfectionist in every aspect of his life. I have five older brothers and my mom used to force me to wear all of their old clothes. I remember in 3rd grade I got in a fight at school and was sent home by the principle because a kid made fun of the shirt I had on. It had to be 10 years old from my oldest brother. I remember being embarrassed because this kid said something in front of a girl I liked. From that day on I told my mom that I would never wear my brothers clothes again and that I would find ways to pay for everything I wore myself if I had to. It seems I have been obsessed with fashion since that day. My closets are always overflowing with clothes and shoes. This is a hard question. Professionally I feel the bravest thing I did was walk away from a very comfortable job to start this business from ground zero. But I never looked back. I try to live my life from one of my mom’s favorite quotes, “If there is no risk, there is no reward”. Short, sweet and to the point! Many of the AW’15 catwalks were playing with the idea of gender – either creating clothes that were gender neutral or borrowing heavily from the opposite gender. What is your opinion about this trend? Would it affect anything Musika Frère will be producing in the future? Musika Frère is a lifestyle brand that embodies (co-designer) Davidson Frère and my aesthetic. We would never make anything that we wouldn’t wear ourselves. I can safely say I don’t see myself wearing those clothes. We draw a lot of inspiration from women’s wear, but we definitely add our own spin to it.